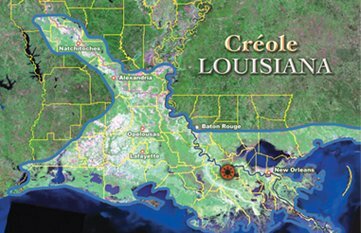 Laura: A Creole Plantation offers a fascinating look into the world of the Creoles who at this historic site, lived charmed and tragic lives. In 1936, Laura Locoul Gore completed an eye-witness account of life on a Creole Louisiana sugarcane farm named after her: “Laura Plantation.” Her manuscript details the daily life and major events of the inhabitants, both free and enslaved, of the plantation that she and her maternal forebears ran. Laura’s writings offer an insider’s perspective into a Creole household, spanning four generations of love and greed, pride and betrayal, heroism and pettiness, violence and excess. And, her words are also an explanation to her children as to why she rejected the traditional confines of Louisiana’s Creole world to become a modern American of the 20th Century. 5-hour narrated day trip to Plantation Country. View the exhibit "From the Big House to the Quarters: Slavery on Laura Plantation"
Please have your printed voucher ready upon boarding the bus. This tour picks up from most downtown and French Quarter hotels. It is best to confirm the tour and pick-up time at least 24 hours prior to departure. Pick ups for this tour are made between 8am and 8:30am. Please be waiting at least 15 minutes prior to pick up time. ● This tour is not wheelchair accessible. ● Please call if you have a walker or any special needs. ● No pets other than service animals are allowed on this tour. ● Due to the historic nature of the homes access to the second floors are by stairs only. ● Schedule and availability are subject to change. Call the number provided on your booking voucher to confirm schedule at least 48 hours prior to departure. ● Please call us at (850) 424-5125 for groups larger than 10. ● Snacks are available for purchase at Laura Plantation & Oak Alley has a restaurant on site. ● Above rates are per person and include all taxes. Rates do not include gratuity to drivers and/or guides or food & beverages. ● Children ages 5 and under, not occupying a seat on the bus are free. Customers may cancel at least 24 hours prior to their arrival date to receive a full refund minus a $5 service fee. Customers that cancel after the 24 hour period will not be eligible for a refund. If weather is unfavorable and the vendor calls off the tour, the customer may reschedule for a later time/date or a full refund will be issued. Customer may make changes to the reservation without any fees as long as it's outside the 24 hour cancellation period.